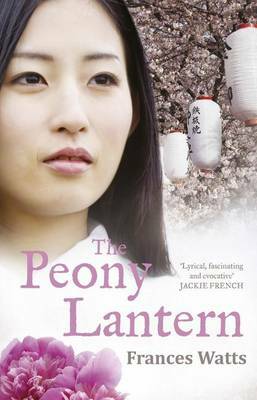 Three recent YA historical fiction novels by Australian women (all published by HarperCollins/ABC Books) inhabit times when girls had to bend to the influence of men and were comparatively powerless. 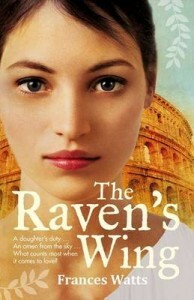 The Raven’s Wing is Frances Watts’s first novel for teens. It is set in Ancient Rome where fifteen year-old Claudia is strategically offered in marriage several times. Making an alliance which can best help her family is paramount. Primarily a romance, the book addresses Claudia’s growing awareness of human rights (here through the fate of slaves) which interferes with her sense of duty and makes her a much more interesting character than the docile cipher she is expected to be. I am Juliet by Australian Children’s Laureate, Jackie French, is based on Shakespeare’s Romeo and Juliet. 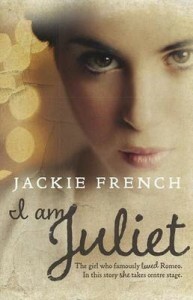 French’s Juliet is a fleshed-out focal character. Superficially she shares some of Claudia’s privileged lifestyle features: attended by maids who wash and dress her and apply her makeup; elaborate meals; and protection behind high walls. Medicinal and other herbs and plants are a feature of their times; and Juliet and Claudia both face imminent arranged marriage, but are aware of a dark man in shadows. 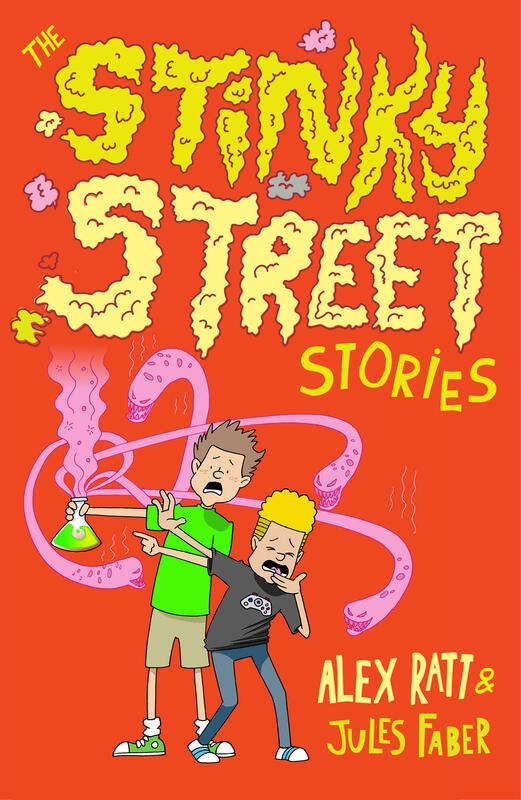 Their stories, also, contain a story within a story. Jackie French has reinterpreted Shakespeare previously – in her excellent Macbeth and Son which grapples with the nature of truth. 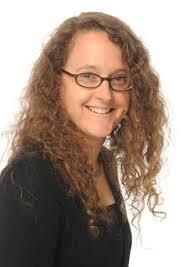 She has also addressed the role of women in history, perhaps most notably in A Rose for the ANZAC Boys. Issy, the thirteen-year-old protagonist of Pamela Rushby’s The Ratcatcher’s Daughter, doesn’t share Claudia and Juliet’s privileged backgrounds. 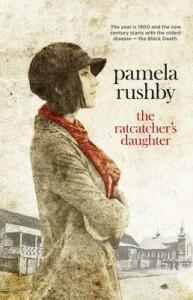 Set in a well-drawn Brisbane of 1900, Issy’s father is a ratcatcher during the bubonic plague. Issy is offered a scholarship to become a teacher but her family refuse it due to lack of money. The issue of the poor’s inability to take up opportunities that the rich assume is reiterated throughout the novel. The Ratcatcher’s Daughter and I am Juliet include background notes about the historical period and other points of interest. These three books unite in their exploration of girls who are prepared to defy tradition to control their own lives, where possible, in spite of general lack of female empowerment. I hope that this really was possible and is not just a revisionist interpretation. It is interesting that this crop of YA historical novels has appeared now. Are these authors finding a story-niche or reflecting current concern? Although surely girls today, particularly in a country such as Australia, are more fortunate in their freedom and choice. 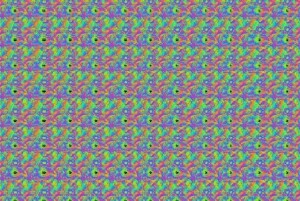 Do you remember those Magic Eye (random dot autostereograms) 3D puzzles of the late 80s? The ones where if you stare long and hard enough at them and go into a cross-eyed kind of trance, you’d mysteriously see a world or picture in unimaginable depth and detail? Personally, I loved them and spent a lot of the early 90s staring into pages of pixelated patterns. The Fearsome, Frightening, Ferocious Box is reminiscent of these puzzles but in a much better, beguiling way. 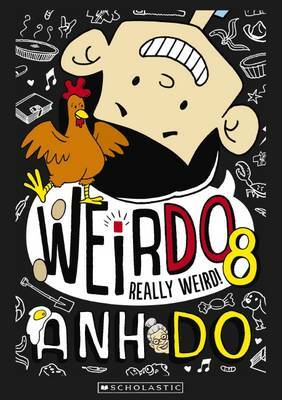 This picture book by the team that brought us Kisses for Daddy and Captain Crabclaw’s Crew, invites you to think deep, look hard and be brave! It all begins innocently enough. One day an innocuous looking box appears. No one knows where it comes from. No one knows what is inside. And of course not knowing is the spur of all great endeavours; as any child will tell you; curiosity must be sated at all costs and in this case, that means the box must be opened. Monkey is the first to attempt it but is thwarted when the box begins to moan. A spine chilling couple of stanzas provide clues as to the potential occupant of the box and is followed by a cautionary, ‘open the box if you dare’ warning. This becomes the box’s mantra and pattern of riddles throughout the book. We are also advised that our eyes may play tricks on us and that in each of the illustrations accompanying the riddle, the occupant could be one of six creatures secreted therein. This is where the fun starts. Finding all six of the illusive animals artfully hidden within the scenes is harder than you’d imagine. It took the eyes of two adults and one seven year old to locate each of the animals and I’m ashamed to say, in spite of years of Magic Eye practise, I’m still searching for some! 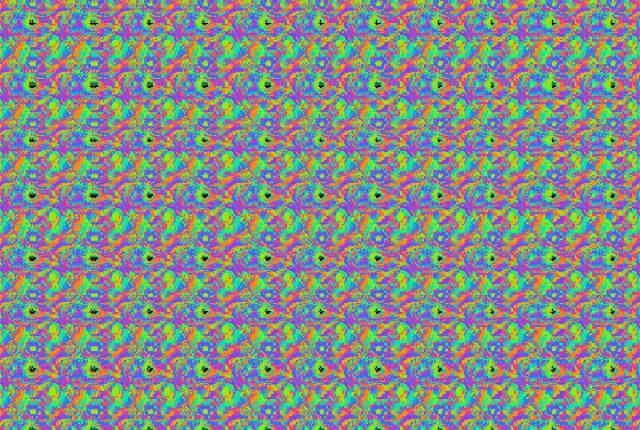 The animals are not in random dot stereograms by the way but hidden as craftily. The Fearsome, Frightening, Ferocious Box is utterly compelling. 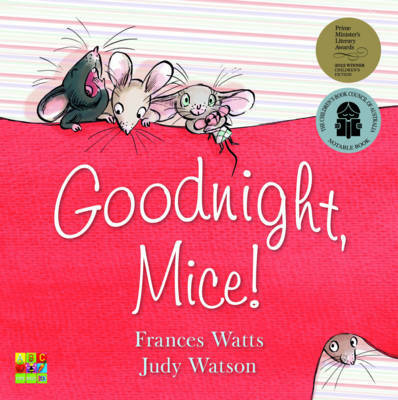 While I found alternating use of rhyming verse and animal narrative a little jarring at times, Frances Watts is spot on with her use of descriptive clues and creates the perfect amount of suspense and tension to keep readers guessing and searching. Watts cleverly guides us through a myriad of scenes from the wetlands, arid desert wastelands, woodland forests and even the Arctic ice floes, as we attempt to find the answer. The fantastically detailed illustrations of David Legge allows us to linger in each scene, exploring the environment of the creatures who lurk and dwell within at least until we discover them. The drawings are bold, expressive and panoramic in their design and feel. I love the textured, stippled effect used throughout the book too, which gives the characters more tactile warmth. As each riddle emitted from the box is solved, the creature portrayed steps up to be the one brave enough and fearsome enough to open the box. But none of them quite cuts the mustard especially when faced with a warning from the box that it will attack if they dare open it. It finally dawns on our crew of beasties that they are collectively terrifying in their own right and if they open the box together, they will outmatch whatever is inside. Now I’m not going to divulge the box’s contents. You’ll have to puzzle that one out for yourself. 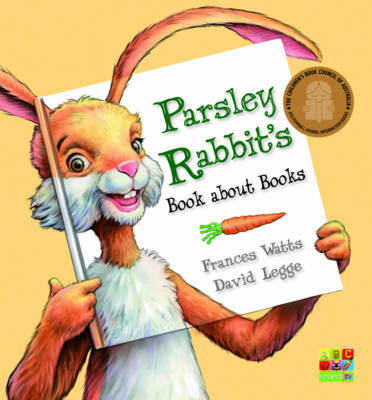 But if you are a fan of Parsley Rabbit, you are going to adore The Fearsome, Frightening, Ferocious Box and its chuckle out loud ending. My seven year old certainly did. 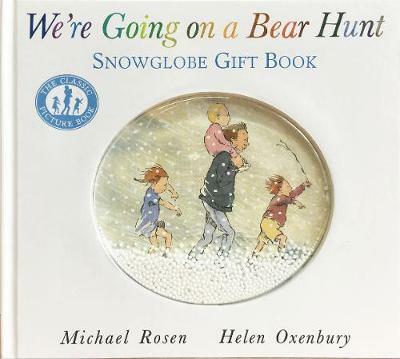 This is more than a simple picture book. 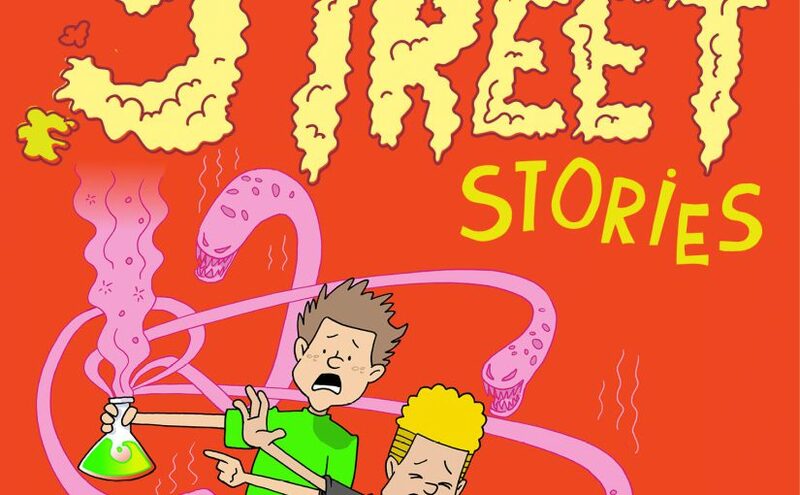 It’s a gripping, enigmatically visual, educational experience. It’s a journey through the diversity of our natural world and the creatures that inhabit it. It’s Deadly 60 meets Graeme Base. Does curiosity finally kill the cat? 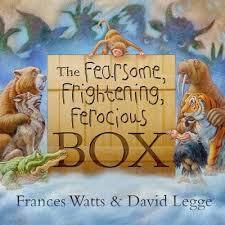 Open The Fearsome, Frightening, Ferocious Box and find out for yourself. Recommended for the very brave of heart and 5 to 50 year olds. 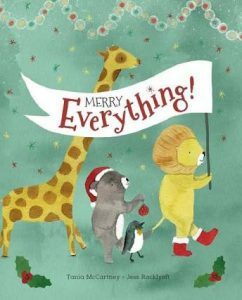 The Ernie and Maud books are full of humour and heart for newly independent readers. 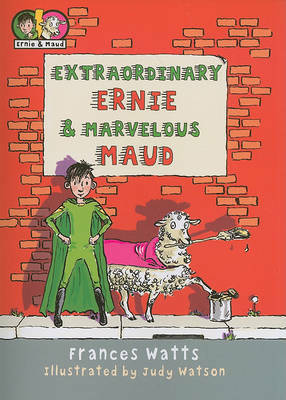 In Ernie and Maud’s latest adventure, Heroes of the Year, kids will relate well to MC, Ernie who has never won at anything…and Marvellous Maud, the ‘greatest sheep in history’. Now Ernie has a chance to win something. 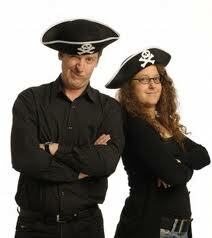 As trainee Superheroes, he and Maud could be in the running to win the “Heroes of the Year”. “Ernie’s eyes were drawn back to the centre of the photo. ‘That trophy,” he said. ‘Is that — is that what the Heroes of the Year get?” His mouth had turned dry. A ribbon was one thing, but a trophy? A trophy was better than a ribbon…A trophy was better than three ribbons! ‘I’ve never won a trophy before,’ he added shyly. Of course there are plenty of obstacles standing in their way but the more Ernie sees of the trophy, the more he wants it. Ernie looks for clues in Super Whiz’s book, 100 Handy Hints for Heroing. Maud is happy to be involved in Ernie’s quest but she is a gymnastics enthusiast with a goal of her own – to be able to do the splits. The two use masterful disguises and determination on their mission, but will it be enough to catch the clever Pencil Pete? 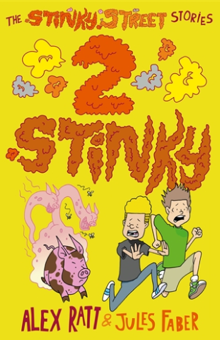 The humour, action and quirky characters make these books an enjoyable read. 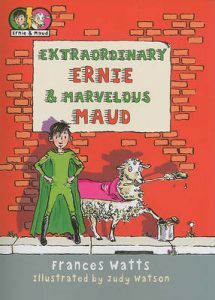 Although Maud seems to go against current publishing trends, I for one enjoyed meeting a talking sheep in a children’s book. Heroes of The Year is the fourth book in the Ernie & Maud series from ABC Books. 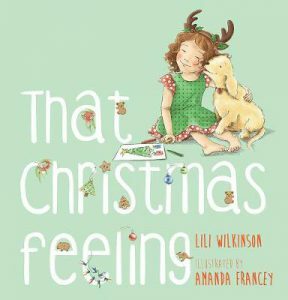 Today, Frances Watts visits Kids’ Book Capers to talk about her journey and Heroes of the Year, the latest book in the popular Ernie & Maud series. The first step to becoming a writer was by becoming a reader, and falling in love with books and stories. That certainly inspired me to write my own. But it was really through writing my first book—Kisses for Daddy—that I developed the confidence to keep writing. 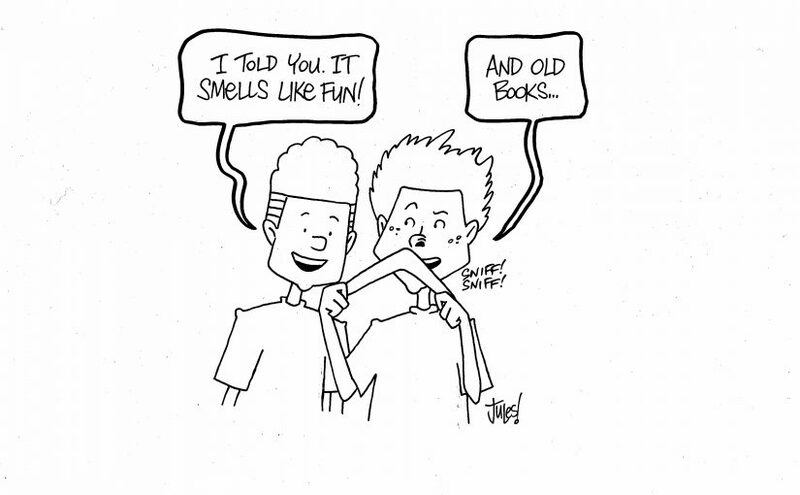 And the act of writing one book unleashed a floodgate of ideas! There are so many things I love about writing it’s hard to say what I enjoy most! I particularly like bringing characters to life, becoming so caught up in their stories that they seem real to me. And, of course, it’s wonderful when those characters become real to other people. It can be hard sometimes to make the words on the page live up to the ideal in your head. And the ideas don’t always flow when you want them to. I was—and still am—a book editor, a job I find very rewarding. I work freelance and divide my time between editing and writing. 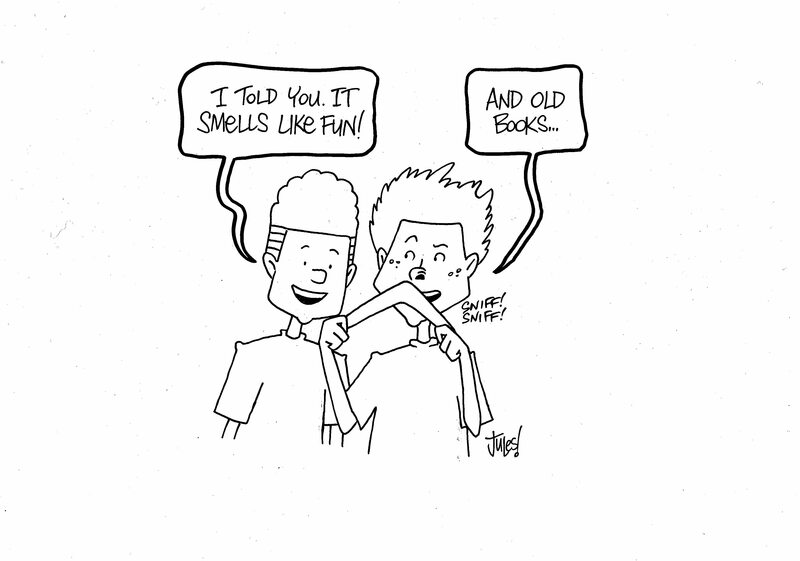 I’d say that touching people with my books is the greatest achievement. Having parents tell me that Kisses for Daddy is a book the whole family loves and shares, or a teacher say that she uses Parsley Rabbit’s Book about Books with her students, or a child tell me that the Ernie & Maud books are the funniest things they’ve ever read or that they can’t wait for the next book in the Gerander Trilogy. It’s when readers connect with my books that I feel like I’ve really achieved something. 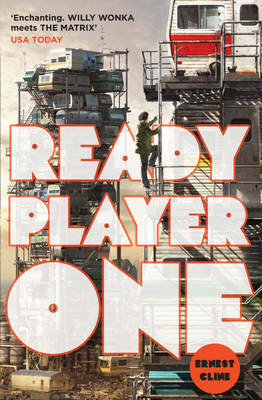 I’m currently working on the final book in the Gerander Trilogy. It’s exciting to be revealing secrets I’ve held on to since the first book, The Song of the Winns—but also sad to be saying goodbye to characters who have been living in my head for a long time. Definitely I’d say: read. And think about what you’re reading, think about how the book is crafted. Then I’d say: write for yourself. Don’t try to write for a market or follow a formula; write because you have a story in you that’s busting to get out. Once you have written that story, find yourself a reader, someone who will give you honest feedback, and be prepared to keep working—rewriting and editing—until your manuscript really represents the best you can do. Because I write for several different age groups, on the surface they don’t necessarily have that much in common…Then again, I think there is a certain idealism, a certain quirky sense of humour—and there’s usually a talking animal or two! My new book, Heroes of the Year, is my tenth book. 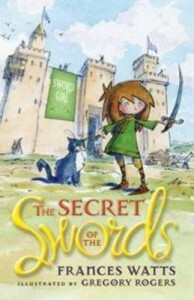 Heroes of the Year is the fourth book in the Ernie & Maud series. In each of the books in the series the main characters face a moral dilemma and, through their friendship, learn something about themselves. 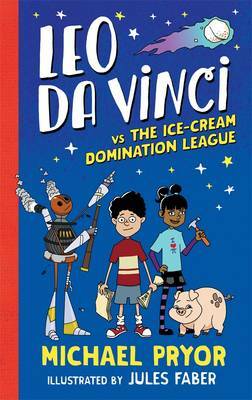 This book in particular was inspired by the idea of learning to accept that it’s okay to lose. 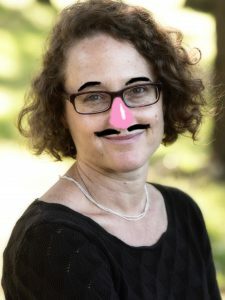 It’s full of false moustaches! 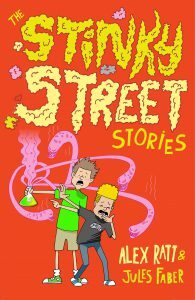 I think kids will love the humour, while identifying with the characters. And Judy Watson’s illustrations are, as always, hilarious. Did I mention the moustaches…? It’s great to have the opportunity to revisit much-loved characters and see them grow and develop across a series. I also really loved plotting this book and working to achieve a humorous trajectory that ties together different threads in a satisfying resolution. 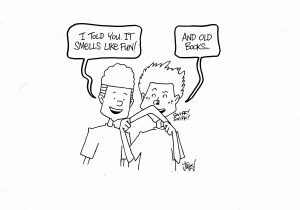 See above re the humorous trajectory and satisfying resolution! 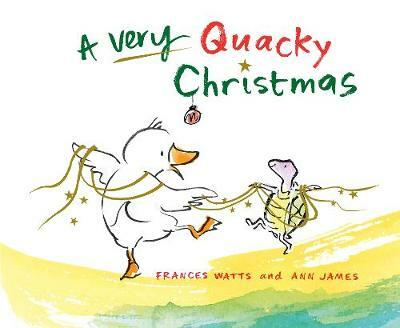 Thanks, Frances for visiting Kids’ Book Capers. Tomorrow, Judy Watson will be here to talk about the illustrating process and in the afternoon we’ll be reviewing Frances and Judy’s new book, Heroes of the Year. Hope you can join us.